One of our favorite climbing roses! 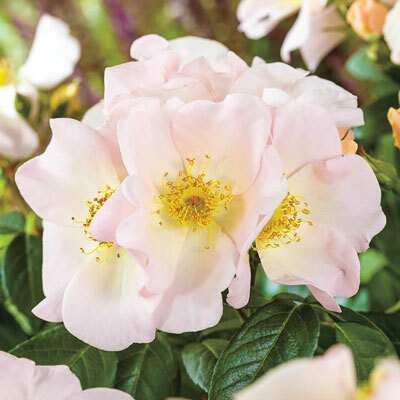 Produces clusters of large, single, 3-4" blooms all summer long. 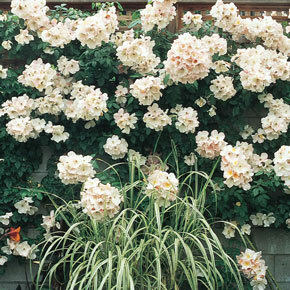 Buff buds open to pure white flowers, creating a spectacular display on trellises, arbors and other supports. Disease resistant, it blooms well, even in heat. Bareroot. Rosa x 'Sally Holmes'. Full sun. 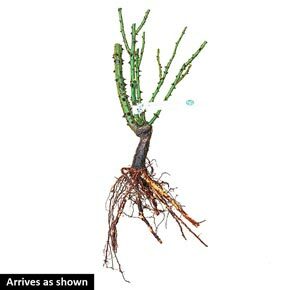 Winter Care: Mulch heavily around base of plant. Remove promptly in early spring. Soil Requirement: Well-drained, humus enriched, slightly acidic soil. Additional Information: Provide plant of water and feed regularly.